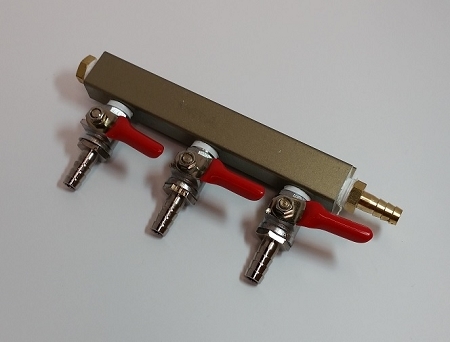 These manifolds allow you to split your CO2 gas line to feed multiple kegs. 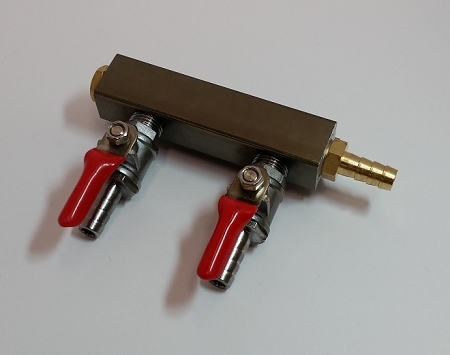 The valves also include a check valve to prevent any backflow. 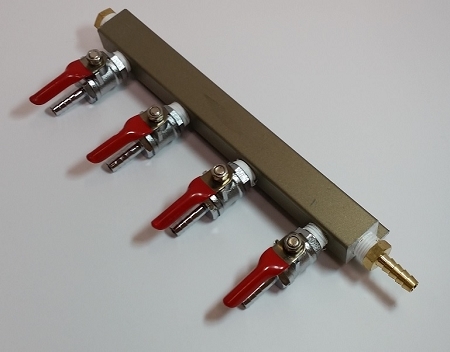 Hose Barbs are 5/16" for the red 5/16" gas line.